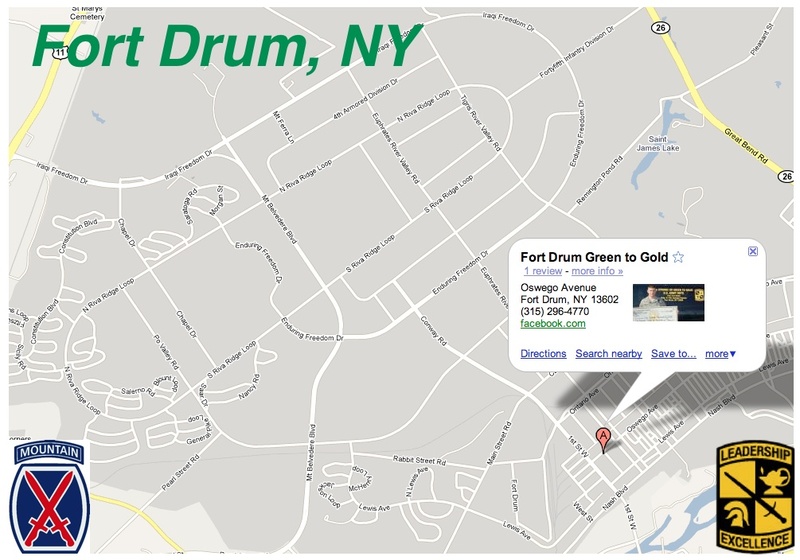 Briefings on Fort Drum every Thursday at 1200! Map to our briefings – click below for clickable map. Division Retention Office – Building S-149, Oswego Ave. Fort Drum, NY, 13602.